There are many spoilers ahead for The Story of Saiunkoku‘s first season, so please read with caution. When I first watched The Story of Saiunkoku anime a few years back, I remember feeling anxious when the series reached the Sa storyline. 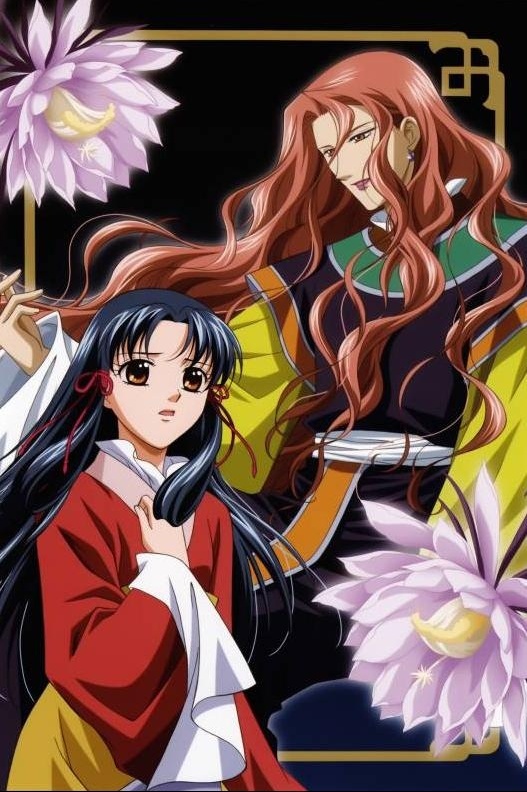 During the Sa arc, protagonist Shurei Hong has just been appointed the position of co-governer of Sa province by Ryuki Shi, the King of Saiunkoku who is also in love with her. Because the Sa province is the least politically stable of the eight provinces in Saiunkoku, Shurei and Eigestu To, the other co-governer, must secretly travel through the Sa region so they may offically take their positions, and many new characters are introduced along the way. One of my pet peeves is when series begin focusing on characters who have not been around since the start of a story, and thus we have no reason to care about them. At first, the Sa arc seemed as though it would fall into this trap – without much explanation, we are thrown into the turmoils of various members of the Sa clan, including Shunki, one of the last remaining descendents of the main Sa family who has been in hiding, and Kokujun, the youngest of the Sa princes who wants to atone for his family’s crimes. However, the Sa storyline also introduces the most mysterious and intriguing character the series has to offer: Sakujun Sa, the second prince of the Sa family. When Sakujun and Shurei first meet, Shurei is on her way to Kinka, the merchant’s capital of Sa province. She is supposed to reunite with her comrades there, and uses Sakujun’s wealth to travel to Kinka safely. Both Sakujun and Shurei are keeping their identities hidden: Shurei tells him that her name is Korin, while Sakujun uses the name Senya Rin to fool Shurei. However, while Sakujun knows who Shurei is, Shurei has no idea that she’s fallen into the Sa clan’s reach. Sakujun demands that Shurei play her ehru for him and constantly tells her that she looks more beautiful when she wears her hair out. While Shurei and Sakujun are in their travels, the Sa family plans to take the government under their control by arranging a marriage between the two of them. When the two finally arrive in Kinka, Shurei and Sakujun go their separate ways, and she finds out that the entire Rin family, including Senya Rin, has been killed. She then realizes that not only is the man she travelled with Sakujun Sa – he is also the one responsible for the murder of the Rin family. My favorite scene in The Story of Saiunkoku is probably when Sakujun and Shurei reveal their identities to one another. The scene is darkly beautiful – when Sakujun whispers his name into her ear, chills run down Shurei’s spine. Sakujun then proceeds to confess his love to her, which Shurei quickly realizes is fleeting: as soon as he gets bored of her he’d throw her away and kill her. She realizes that people are nothing but toys for him to play with, which he admits to by telling her that he would never tire of playing with her because she would never break. He tells her that he wants her to belong to him, and in return he can belong completely to her. After their confrontation, Shurei can’t forget Sakujun’s words. Sakujun’s confession of love reminds of her Ryuki, who told her before she left for Sa province not to forget that he loves her. Because Shurei has always been focused on her goals of becoming a government official, she’s never given much thought to love. However, Sakujun’s twisted feelings do have an effect on Shurei: she unconsciously starts wearing her hair down even when he’s not around. More importantly, Sakujun’s confession forces her to wonder why her heart beat so fast when he was around, and allow her to admit that Sakujun and Ryuki are not that different. The difference is in the intent behind their feelings: while Ryuki makes it possible for Shurei to achieve her dreams by sending her to Sa province even though that means they must be separated, Sakujun is only concerned about his own gains, and seems not to care about Shurei as a person. The Story of Saiunkoku: Shurei Hong and Sakujun Sa. However, Sakujun’s feelings for Shurei are more complex they appear at first glance. 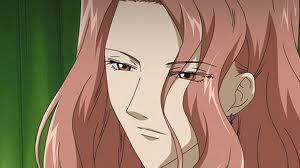 Although Sakujun has never been interested in marriage, he agrees to the arrangement between himself and Shurei. During their travels to Kinka, in every city they stopped at Shurei bought all of the gan lu tea she could find so that way her comrades could follow her trail without her making her identity known. When Sakujun asks Shurei to make him some gan lu tea, she tells him that she’s saving it for the people who are important to her. She refuses to serve it to him, making him jealous that there are people who are more important to her than he is. Near the end of the first season, Sakujun decides to place a wager with himself: he poisons hot water and puts the antidote in the gan lu tea. He tells Shurei that if she doesn’t serve him gan lu tea he’ll die, but instead she chooses to serve him the water. Later on, Shurei finds Sakujun slumped under a tree, bleeding from his mouth. As he’s dying, he is pleased by the thought that Shurei will live with the guilt of knowing that she was responsible for his death: because then she’ll never forget him. However, as his eyes are closing, Sakujun says that he wishes he could have listened to Shurei play her ehru more, which shows that despite his frozen heart, some part of him really did genuinely love Shurei – or perhaps it was obsession. When Shurei runs to find him help, Sakujun’s body mysteriously disappears, never to be seen again. Much of the turmoil within the Sa clan was caused by Sakujun. Sakujun suggested to his mother that they should start using a certain fragrant incense, which interferes with the ability to think properly. Sakujun uses these to manipulate his grandfather Chusho to imprison his son, and it results in the deaths of both Chusho and Kokujun’s father’s deaths. Sakujun also has his elder brother Sojun Sa killed so he could take over as the head of the Sa clan. And yet, because Sakujun knows how to manipulate the people around him, none of these crimes were committed by him directly. Shurei even admits that although she knows of his crimes, she can’t hate him, and her comrades tell her that she is the only person in the world who is allowed to mourn for him. Everything about Sakujun is twisted and enigmatic. Even though he is dark and selfish, I couldn’t find it in myself to hate Sakujun or to see him as a true villain. As soon as he was introduced, I couldn’t wait to hear Sakujun’s sumptuous voice again, and I absolutely loved his presence in The Story of Saiunkoku. In many ways, he reminds me of Nakago from Fushigi Yugi: both are manipulative and mysterious characters who add so much intrigue to their respective series that it is hard not to pay attention to them, or to fully hate them. And although I know he is a dangerous character and completely wrong for Shurei, I was unable to avert my eyes when I watched the two of them together. In the end, I don’t think I’ll ever fully understand his character or even how I feel about him. All I know is that Sakujun is the master of seduction: because not only is able to tempt the pure Shurei, he also able to captivate the hearts of the audience, who hate him for doing so. As you guys may have noticed, I love 90s series. 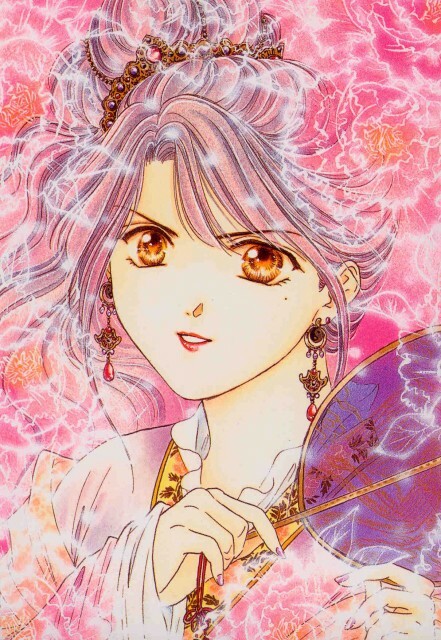 Of my favorite shojo series, at least half of them started during the 1990s, from Marmalade Boy to Fushigi Yugi. But as I began to read more and more titles that have come out recently, I started to wonder: why is it that I like 90s series so much? Is there some intrinsic quality that 90s shojo possess that later shojo series are lacking? Or is it simply nostalgia? 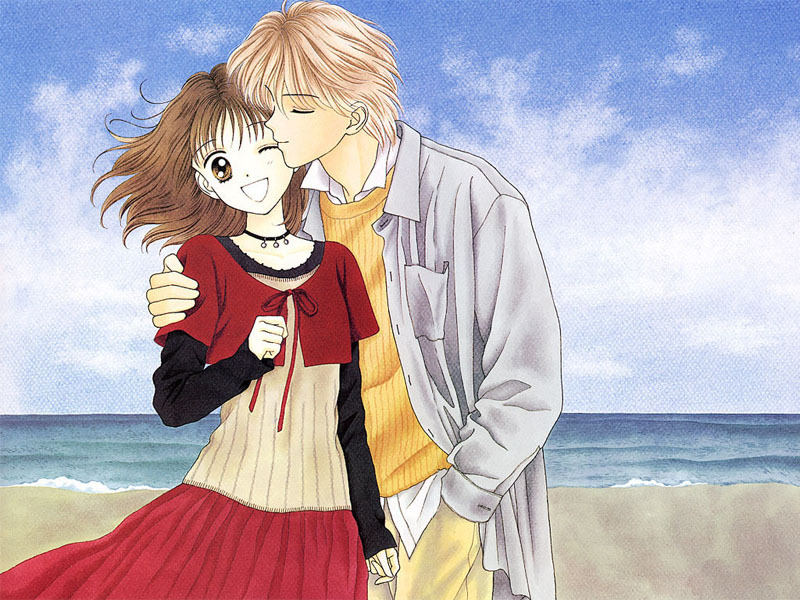 Marmalade Boy has a quintessential 90s shojo style that makes me happy. In many ways, it shouldn’t be shocking that out of all the decades I fell for anime and manga from the 90s in particular. I was born in the year 1990 and consider myself to be a “90s girl.” The first anime I ever got into was Sailor Moon, which is not only a 90s series itself but I also got into during the 90s. In many ways, I associate the 90s with the beginning of my anime fandom – after Sailor Moon, my next anime was Tenchi Muyo!, which I started watching around 1999 or so. At that point, my anime exposure expanded – next it was G Gundam, then Oh My Goddess! – until I became a full-fledged anime fan. All of the series that first got me hooked onto anime were 90s anime. It didn’t take too long for me to become interested specifically in shojo series: I remember seeing an article on Marmalade Boy in Animerica and thinking how much I liked it’s artstyle, and from that point on I became attracted to the series that had a similar ‘girly’ aesthetic. 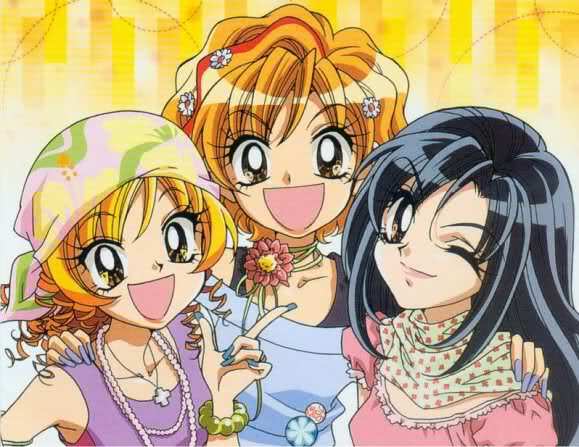 By the time I watched Kodocha in 2005, I basically knew I had a love for shojo anime that couldn’t be stopped. That love of shojo anime next spread to a love of shojo manga, particularly thanks to Shojo Beat. I started to read many contemporary series that I love to this day, including We Were There, Love*Com and Dengeki Daisy. But reading more contemporary series made me realize that there is a difference between the series I’ve read that were published in the past few years and the ones that started in the 90s. Even though I really enjoyed these contemporary series, the reading experience still wasn’t the same. Nineties series capture my attention and engross me in a way even the most addictive contemporary series just don’t. For example, I can barely rip through a volume of We Were There fast enough, heartwrenching as the series may be. But when I read Boys Over Flowers, I didn’t just want to know what happened next in the series – I wondered what it was like to be a fan reading the series when the manga was first being published in Japan in the 90s. With Itazura na Kiss, I wanted to find all the artwork I possibly could from the manga, even though the artstyle may be ‘ugly’ to some. Eighties series (regardless of whether they’re shojo or not) make me feel this way too to a certain extent, but because I haven’t seen or read as many of them I don’t feel I can say whether my love for them is purely because they are classics. But 90s series don’t only take me back to my first days of anime fandom – they bring me closer to places I never was. I’ll be the first to admit that my reasons for loving nineties series sound like pure nostalgia. However, I believe that there is more to my love of 90s series than just my admiration of the ‘good old days.’ With nostalgia comes the belief that everything from that time period was rainbows and unicorns, without looking at the bad side of the time period as well. This is where I don’t fit in: because I don’t idealize the nineties. I know there have been plenty of crappy series produced during the 90s, and even more series that are just average. Even some 90s series I’ve enjoyed I know aren’t the best – it’s hard to say that G Gundam is anything but cheesy, and Sailor Moon certainly has its problems. Many 90s series that may have seemed original at the time are clichéd in retrospect. What’s funny about 90s shojo in particular is that they simultaneously cling to clichés while breaking them as well. For example, while Itazura na Kiss presents very common shojo plots (the dumb girl in love with the cold mysterious guy, the main couple moving in together), the series goes a step further than most by showing the main couple’s life together after they get married. And while the stereotypical cheerful-but-dense shojo heroine is blatant in 90s series such as Hana-Kimi, some of the strongest shojo heroines I can think of also came from this decade, like Yuri from Red River or Tsukushi from Boys Over Flowers. And the addictive charm some of these series have, while an intangible quality, is still something that I think is more than just because of nostalgia. Overall, it’s not that I think 90s series are better than series from the 2000s – it’s just that 90s series appeal a bit more to my palette. It’s like comparing cake and chips – I love me some chips, but at the end of the day, I’m gonna choose cake. The 90s just happened to be the cake. When you think of June, one of the first things that comes to mind is a wedding. June is the beginning of wedding season in the west, and thinking about how many people are getting married during this time of year has made me think about marriage in Japanese culture. Marriage is an important custom in Japan: 87 percent of men and 90 percent of women between the ages of 18 and 34 wish to be married someday, according to the National Institute of Population. Despite the importance of marriage in Japanese society, it’s interesting to note that weddings rarely show up in manga. This makes sense because most manga revolve around high-school-aged characters who are far too young to get married. Still, there are plenty of manga that feature couples I feel deserved to have a proper wedding ceremony, so I thought I’d highlight series where I wish (as well as many other fans, I’m sure) I could have seen these characters officially say their ‘I dos.’ And please note that since I’m discussing marriage that there are definitely spoilers, so read with caution. Near the end of Sand Chronicles, things seem pretty hopeless for Ann Minase and Daigo Kitamura. When Ann sinks further into a depression years after her mother’s suicide, she breaks things off with Daigo out of fear of bringing him down with her. After dating her friend Fuji and briefly getting engaged to another man, Ann’s life begins to be consumed by monotony. She becomes more depressed until she finally almost kills herself. However, Ann’s brush with death makes her realize that she wants to live, and upon learning that it was Daigo who saved her life, the two are reunited. Volume eight’s epilogue shows Ann and Daigo living on the beach, happily married and chasing after their baby. But after seeing Ann and Daigo struggle so much, it would have been nice to have seen the wedding ceremony as well. 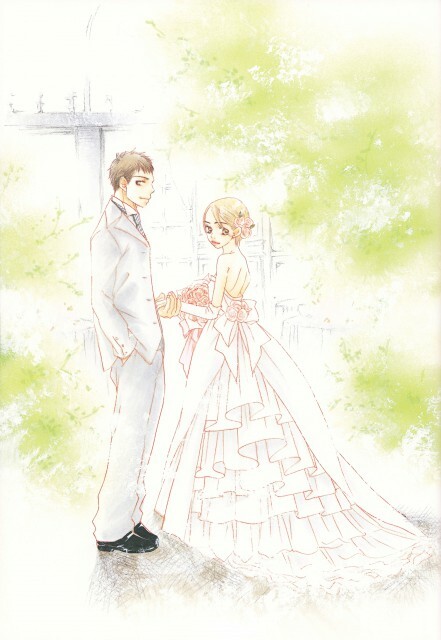 At least the series’ author, Hinako Ashihara, drew a picture of what their wedding probably looked like. After Kira Aso falls for bad-boy Rei Kashino, the two are threatened to be separated by everything from love rivals to brutal violence. In Mars‘ fifteenth volume, Kira and Rei decide to get married. Rei tells Kira that he always wants to protect her, so despite the fact that they’re still in high-school they register their marriage license. However, the two don’t have any sort of wedding ceremony – their friends throw them a casual party and give Kira a present of lace, which she places on her head as a veil. But Rei doesn’t show up because he was stabbed by Masao, a sociopath who has been obsessed with him. Fortunately, Rei lives, and a year later we see his father pestering him because he wants grandkids. Although I was happy that Kira and Rei were able to stay together, I wish I could have seen them get married in a traditional ceremony – but in a way, a no-frills wedding suits this couple perfectly. In Boys Over Flowers a.k.a Hana Yori Dango, Tsukasa Domyoji, son of one of the richest families in Japan, falls for spunky lower-class Tsukushi Makino after she stands up to his bullying. At first Tsukushi dislikes Tsukasa, but over the course of the series But Tsukasa’s mother constantly tries to keep them apart: first by arranging a marriage for Tsukasa, then by threatening to have Tsukushi’s friends fired. But eventually Tsukasa’s mother gives in, and Tsukushi and Tsukasa are free to be together without any interference. However, this doesn’t last long: in volume 35, Tsukasa decides to take over his family business and go to New York for four years after his father collapses. He proposes to Tsukushi, who promises him at his high-school prom that if he returns a good man that she’ll make him happy. In Boys Over Flowers: Jewelry Box, which takes place one year after the end of the series, Tsukushi and Tsukasa get officially engaged. Even though these characters are so young, I couldn’t help but want them to get married because I love Tsukushi and Tsukasa as a couple so much. And I know I’m not alone: in one poll by Oricon surveying what completed manga series fans would like to see continued, Hana Yori Dango ranked number two, and one fan said that they would like to see “the start of a family.” Luckily, the j-drama resolved this issue: in the Hana Yori Dango: Final film, Tsukushi and Tsukasa finally tie the knot in a beautiful ceremony, giving me the wedding I had always wanted to see. So are there any weddings you wish you could have seen in your favorite manga? Or are you content with seeing a couple’s romantic journey being left open-ended? And is the age of a couple an important factor in your desire to see them get married, or does it not matter to you? Back when Newtype USA was being published, I remember seeing extremely colorful ads for an anime called Super Gals! It wasn’t until a few years later that I actually was able to watch the first season of the anime, and I really enjoyed it once I did. The series revolves around the kogal subculture, in which girls are easily identified as ‘gals’ by their often bleached and permed hair, short skirts, and loose socks. Ran Kotobuki is the number one gal in Shibuya, and the series follows her adventures along with her best friends Miyu Yamazaki (a sweet girl with a penchant for referring to herself in the third person) and Aya Hoshino (a shy girl who is extremely studious). On the surface, everything about Super Gals! screams ‘girly.’ From the anime’s bright color scheme to the shopping trips to the female characters’ awesome nails (they’re so long and pretty! ), Super Gals! seems like a simple light comedy. Yet looks can be deceiving: right away this image is dispelled in the first episode when Ran finds out that in her spare time, Aya has been going out on subsidized dates (enjo kosai). Ran’s tough girl attitude gets her into many fights, and later on it is revealed that Miyu was once the leader of a gang. Even though Ran’s attire and attitude make her seem rebellious, she’s got a strong sense of justice that comes naturally to her because she comes from a family of police officers. The contrast of the series ‘fluffy’ appearance with some of it’s darker themes made me appreciate the series even more, because I really like when comedies have more to offer than just jokes. Still, that’s not to say that the series isn’t fun. Some of the lines are laugh-out-loud funny, and the show’s slang has stuck with me (thanks to this show, I always use the term ‘narci’ instead of the word narcissist). I love the sequences of the chibi versions of the characters para-para dancing, and there’s a trio of tanned-girls who love to harass Ran (and always end up humiliated). One of my favorite episodes is when Ran holds a contest to find the perfect boyfriend and hundreds of guys show up to compete for the heart of Shibuya’s most desired gal. Ran makes the guys do everything from run a marathon to scaling a mountain, and it’s pretty great to watch. Even though Ran is perpetually broke, loves mooching off of guys and can be pretty bossy, people love Ran because she’s strong and always abides by the ‘ironclad rules for gals,’ which includes always helping others. But there are some people who have reviewed the show that find a message the show is (probably) unintentionally sending to be problematic: Ran never focuses on school and is constantly getting failing grades, and she’s always telling people to have fun while they can. 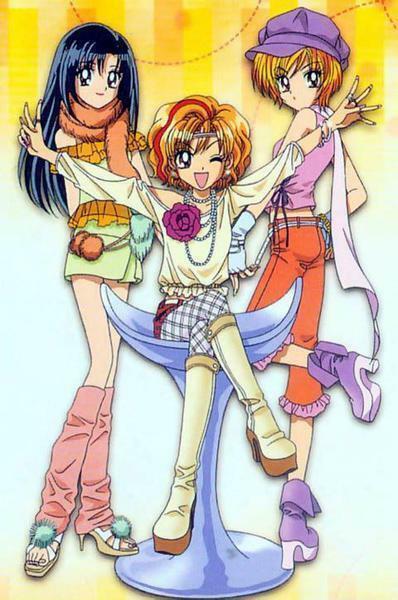 At one point, Ran’s carefree attitude comes into collision with Aya, who tries to break off her friendship with Ran so she can focus on her studies and please her parents. But eventually, Aya begins to see that Ran is right and that she should live to please herself, even if that means she won’t get perfect grades anymore. While the message the show is sending may be problematic (and certainly shouldn’t be taken to Ran’s extent), because I personally wish I could have had more fun in high school, I can relate to Ran’s reasoning and thus I’m not bothered by these implications. Besides, the series is so strong in sending messages about seeing the good in yourself that it’s hard to say the series’ outlook is anything but positive. While Aya is probably the most relatable character and many of us wish we could be as brazen as Ran is, I have to say that Miyu is my favorite character in the series. Miyu is dating Ran’s brother Yamato, who is older than her and more prudish in their relationship – much to Miyu’s chagrin (she wants her first kiss, dammit!). Even though Miyu is always lovey-dovey with Yamato, she is still struggling with guilt from her past crimes as a gang leader. I love the moments the series flashes back to Miyu when she was in the gang – she was much harder and cruder, and it’s a nice contrast to the present-day Miyu who loves to bake and speak in baby-talk. Miyu’s tough side shows up every once in awhile, such as when her boss tries to get her to sleep with him, and it frightens her because she fears that she hasn’t changed at all. Despite her past, Yamato accepts her and I found their relationship to be really sweet. In many ways, I found Miyu to be the most sympathetic character: later on in the series we find out that Miyu’s mother isn’t ever around, which is why she was driven into the gang in the first place. Love is a central theme throughout the anime, but it’s never the sole focus of the series. Aya develops a crush on Rei Otahata, a stoic boy who was voted the number one GL (good-looking) guy in high school, and struggles with her feelings of unrequited love over the course of the first season. Although pretty much every guy in Shibuya wants her, there are two main guys who are after Ran’s attentions: Yuya Asou, a nice guy who was voted the number two GL guy in high school (earning him the nickname Nii – ‘second place’), and Tatsuki Kuroi, a goofy ‘monkey’ guy who loves to dance para-para and lives in Machida. I was pretty surprised that Ran decided to start dating Tatsuki so early on in the series, but I think his crazy behavior matches Ran really well, especially since Yuya lets Ran walk all over him. But more important is the friendship between the three girls, who always stand by each other and prove that gals truly do have a lot of heart. Overall, I really like Super Gals! and would definitely recommend it. The series is based off of the manga Gals! by Mihona Fujii, which was released by CMX. The anime’s first season was released by ADV, and the dub is great. Unfortunately, although the second season managed to get released by Nozomi Entertainment, the second season doesn’t have a dub, which is a major reason why I haven’t watched the second half of the show yet. But Ran and her friends are too charming to resist, so I’m sure that I’ll be watching the rest of the series eventually. When Shojo Beat magazine finished, for a long time I had trouble deciding what to read. I began scouring blogs for reviews of shojo manga that had recently been released, trying to find series that appealed to me. When CMX and Tokyopop went out of business, I found out about many shojo series that sounded interesting yet faced just one large problem: they were unfinished. I couldn’t bring myself to start a manga I knew I wouldn’t be able to finish, yet I’m still curious about several series that have been left hanging. Narutaki over at Reverse Thieves also wrote a post about shojo series that have sadly been left incomplete, so I thought I’d share my picks as well. 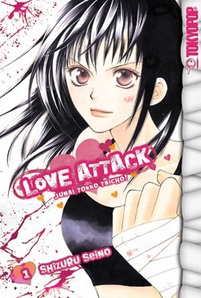 Love Attack! This series is about a rebellious girl named Chiemi who’s on the verge of getting expelled unless she can reform the school delinquent, which eventually blossoms into a love story. It’s a refreshing change from the typical ‘bad boy/good girl’ dynamic in most shojo, and I feel like this is a manga I’d really enjoy – I seem to have a thing for male love interests who are reformed delinquents (Kodocha and Boys Over Flowers, anyone?). But since Tokyopop only released the first six volumes of the manga, which is still running in Japan, I’d hate to fall in love with a series I won’t ever be able to finish. I Hate You More Than Anyone! 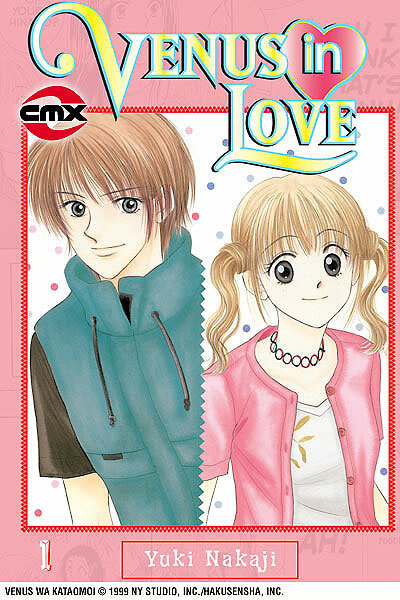 This series sounds pretty standard – girl starts to fall for a guy who her best friend also has feelings for – but I’ve never read a manga by Banri Hidaka, and I’d love for this series to be my first. I’ve heard many great things about Hidaka, who knows how to insert silliness into her manga, and the fact that the protagonist’s five siblings play a role in the series sounds fun as well. However, the currently-running manga series, which is up to volume 13 in Japan, was only up to volume nine when CMX shut down. Venus in Love. Although the main premise behind this series is a love triangle, Venus in Love seems like it’s pretty different from the rest of the shojo crowd because a). it’s set in college, and b). the female protagonist’s crush can’t decide if he likes guys or girls! So rather than having two guys fighting each other for the attention of the main female character, the heroine in Venus in Love actually has to compete with another guy for her guy’s attention. CMX released eight volumes of this series before they went out of business, leaving the last four volumes hanging. What’s interesting is that completing this series is actually possible – the manga was fully released in Australia by Madman under the title Love for Venus – but is it worth it to try to track down the last four volumes of the series? Two Flowers for the Dragon. Even though I tend to go for slice-of-life shojo, I’ve heard nothing but good things about this series. The female protagonist, Shakuya, is the heir to a dragon clan, and prior to the series’ start she is betrothed to a guy who disappears. At the manga’s start, he returns only after it’s been arranged for her to marry someone else. And while I’m a little afraid of the premise of Shakuya turning into an actual dragon, I love that who she will marry is determined by the flower tattoos on her body, which grow larger as her affection for each guy increases. But unfortunately, the last volume had yet to be released when CMX shut down. The last volume. Gakuen Alice. This series is undoubtedly one of the most popular that was left hanging in the aftermath of Tokyopop’s demise. I’ve mentioned before that I was reluctant to get into Gakuen Alice because I tend not to be interested in series that have fantasy-elements but are otherwise realistic, but another reason I didn’t want to pursue this series was because I knew I wouldn’t be able to finish it. However, I recently read volume one and really enjoyed it, which has only made me sadder that the series won’t be completed in America. At least Tokyopop was able to release sixteen volumes of the (still-running) series, and should any other company consider licensing the series they’d have the opportunity to pick up where Tokyopop left off. The chances of any of these manga being license-rescued are slim-to-none because most of them were pretty niche in the first place, although I think Gakuen Alice would do well if another company grabbed it (coughVizcough). Even though I think all of these series are interesting, I’m still on the fence about trying any of them out. It’s hard to fall for a series you know you won’t ever be able to (legally) read the end of. Do you guys also refrain from pursuing series you know you won’t be able to finish? Or does being unable to finish a series simply not matter to you?